ME-Mommy Etc: Sew Much Fun! So as I mentioned in my previous post a few months ago I crossed something off my bucket list. I took a sewing class. Ever since I was a little girl I wanted to sew-my mom and grandmother couldn't. When I did the 4-H fair as a child a great aunt helped me. As I have gotten older I have loved quilts. I love the colors, the fabrics, all of it. When my dad died I even had a friend of Ryan's make quilts for the kids because I didn't know how but I wanted to. So around my birthday I signed up for an intro to sewing class. We learned some basic sticking and cutting. 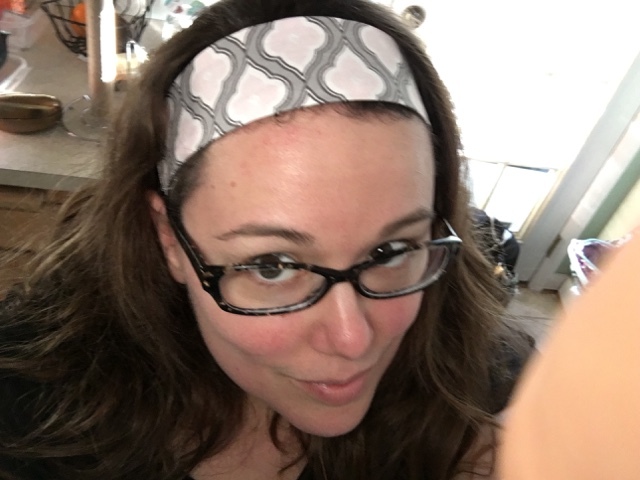 Then when I got home I started looking up some simple patterns and I found this pattern for a cute easy to make headband. It was great because it came with step by step instructions on what to do. 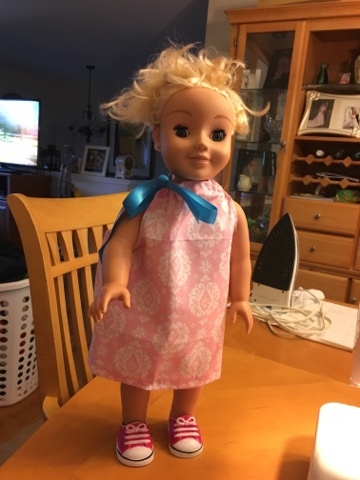 I also found one for a doll dress that I made for Josie and her new American Girl doll. I was so proud of these things. It was something I wanted to do, I set my mind to it, I went and I did it. I have found over the years that as a Mom and wife I have neglected to spend time on me. I don't mean in that selfish I am going to be all about me-but in a way of bettering myself. Lets be real knowing to sew doesn't serve a huge purpose other than I like to do it...but in a way that is good enough. Something that mom likes to do and enjoys. Below are pictures of my first few items I made! 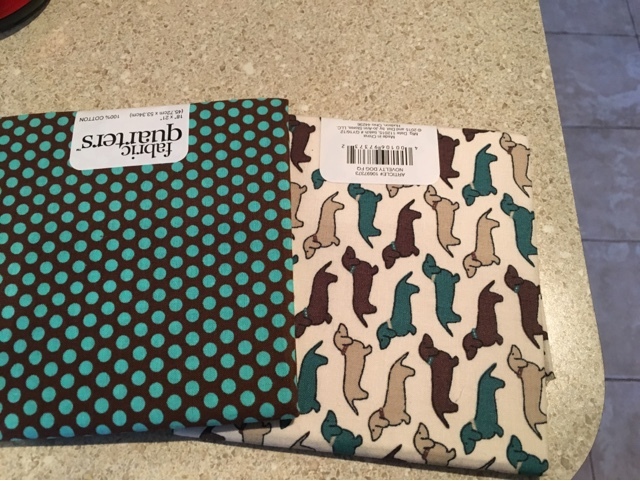 The only issue with this sewing thing is that I am no instantly fabric obsessed and need to buy all the fabric. Below you will see some of my recent purchases! My headband....which now that I cute off all my hair doesn't look as cute! Dog print!!! I need to make something special with these!! 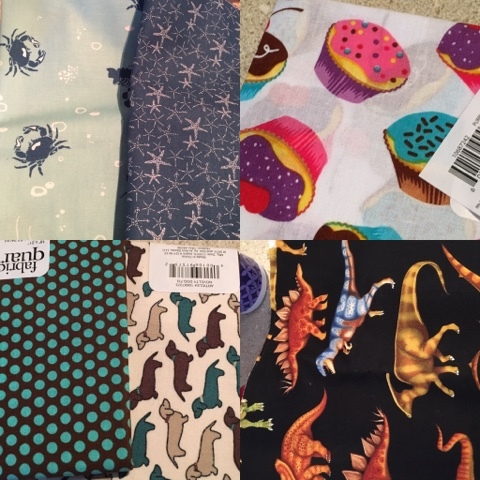 More fun prints-I made Dylan a little coin purse with the dinos and the stars and crabs will be a bucket purse I am attempting to make into bag. What are the things that you have been wanting to do? Is there something that you have done for yourself recently. I would love to hear!